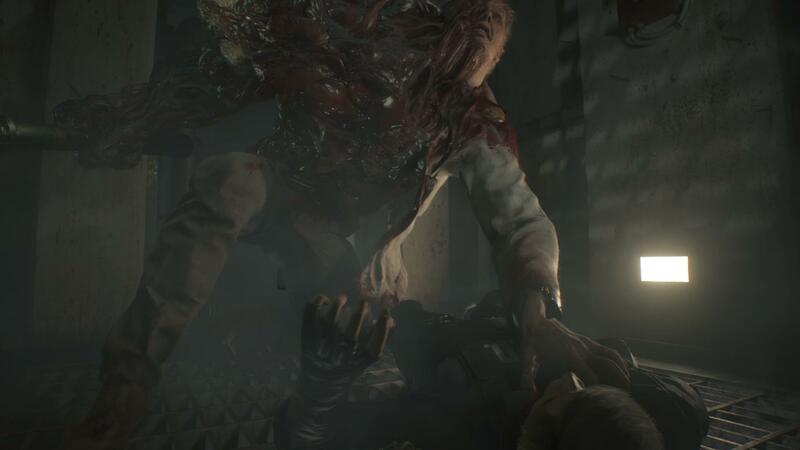 Veteran Resident Evil 2 fans will recognize G as William Birkin: the man responsible for the creation of the G-virus. 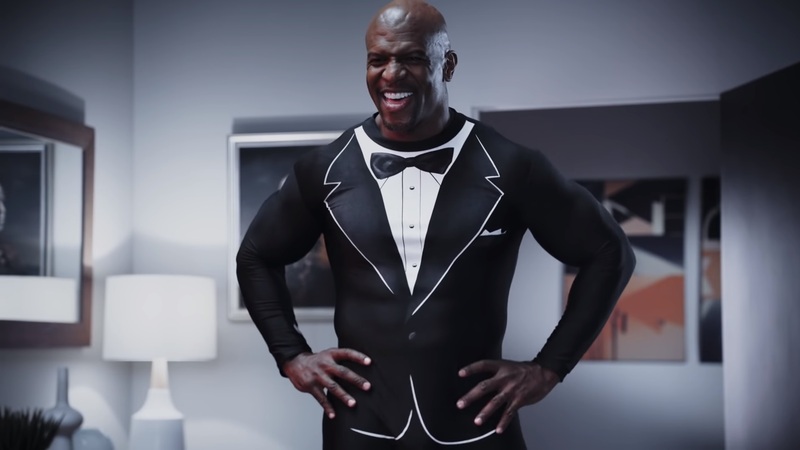 Sadly, he’s sampled just a bit too much of his own product. 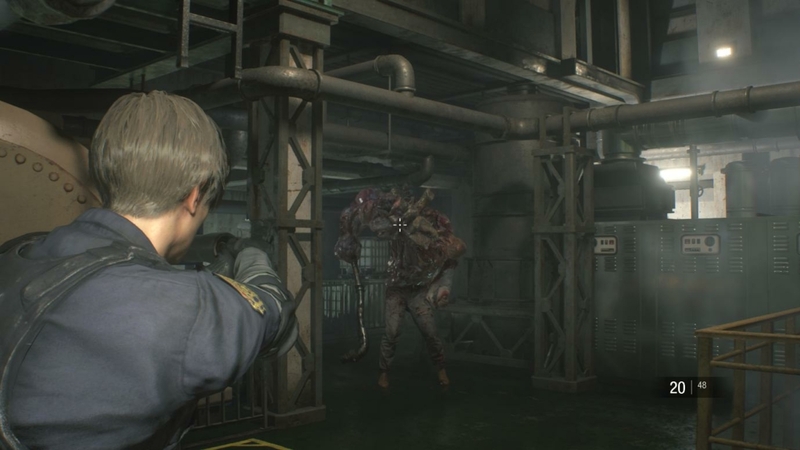 The predictable result is your first G boss fight in Resident Evil 2. This guide will cover your first encounter with the artist formerly known as Birkin in the tunnels under the city. 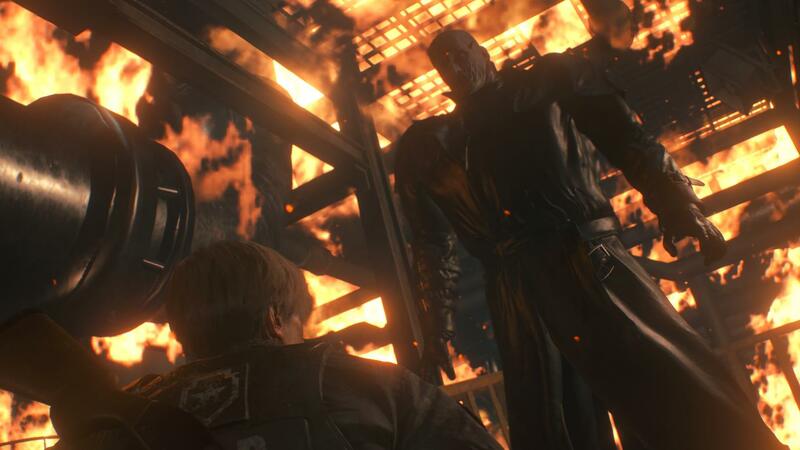 After you solve the Goddess Statue Medallion puzzle in the Main Hall of the Raccoon City Police Department, you’ll bid a fond farewell to Lieutenant Branagh. Leon or Claire, depending on who you picked, will set off through the secret escape tunnel. The first room in this tunnel is a rather cushy-looking office — complete with a typewriter and item box. Before progressing, I suggest you gear up and save your game. That’s because you’re about to encounter your first Resident Evil 2 boss fight: G.
G (or Birkin if you prefer) will introduce himself to you in the machinery room, ambushing you after you shifted a tipped-over locker out of the way. After a quick cuddle, you’ll both crash through the catwalk and into the room below. There is no escape from this fight. You must defeat G before you can leave this area. G has a big pipe. He loves his big pipe and he also loves smacking you around the chops with it, so keep your distance. The boss also performs a grab attack occasionally, which does significant damage if he manages to pull it off. Try not to let him by keeping your distance. 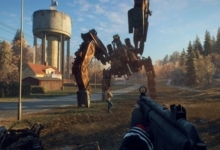 Otherwise, like most grapple attacks, you can use a secondary weapon (like the Combat Knife) or a Stun Grenade to break the hold and avoid damage. As you might expect, G’s weak point is his squishy human head. Naturally, you want to shoot him in the face. After taking enough damage, G will “hulk out” and the giant eye on his arm will open. When his eye is open, Birkin becomes quicker and more aggressive than ever before. It’s in your best interest to knock him out of this state as quickly as possible. Stay mobile and switch up your target, aiming for the eyeball on his shoulder. Pour enough damage into this and he’ll close his eye again, reverting to his more chill form for a while. 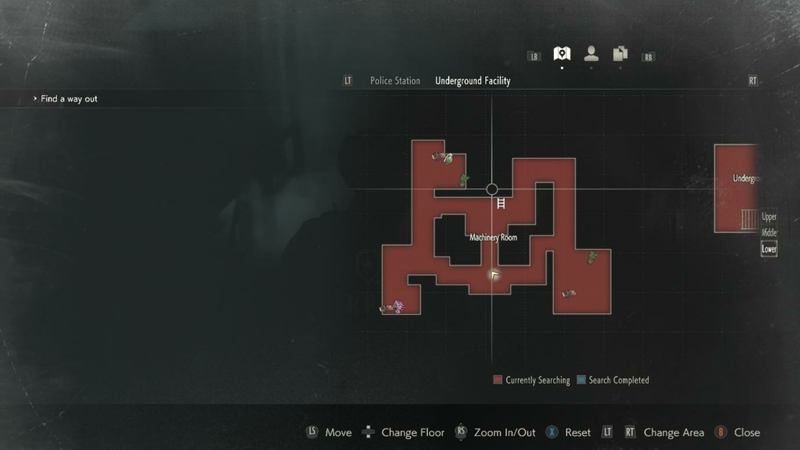 The G boss fight arena is essentially a figure-of-eight layout, which prevents you from getting cornered by the pipe-wielding monstrosity you’re trapped in there with. There are several offshoots from the main area, though, which contain valuable health and ammunition. Only venture into these areas if you’re positive you can get in and out again before G blocks you in. You do not want to be cornered. One final thing worth noting is that G’s flailing attacks will hit the machinery in the room, filling the area with steam. This can obscure your vision somewhat. Even then, there is a limit to how stealthy someone Birkin can be when it has an arm the size of a dairy cow. Just keep your wits about you and he shouldn’t be able to sneak up on you. He also likes to jump into the rafters and drop down on you. Although G rarely uses this attack and it’s possible to complete the fight without him trying it at all. Either way, just keep moving, taking advantage of the circuitous layout of the room, and you’ll be fine. Keep unloading bullets into him, switching up targets between his head and his mutated eye. Eventually G will fall, quite literally, as he dramatically hurls himself over a nearby ledge. 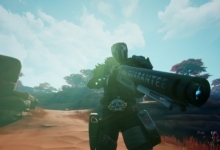 That’s not the last we’ve seen of him, but for now that’s 1 – 0 to Team Alive. 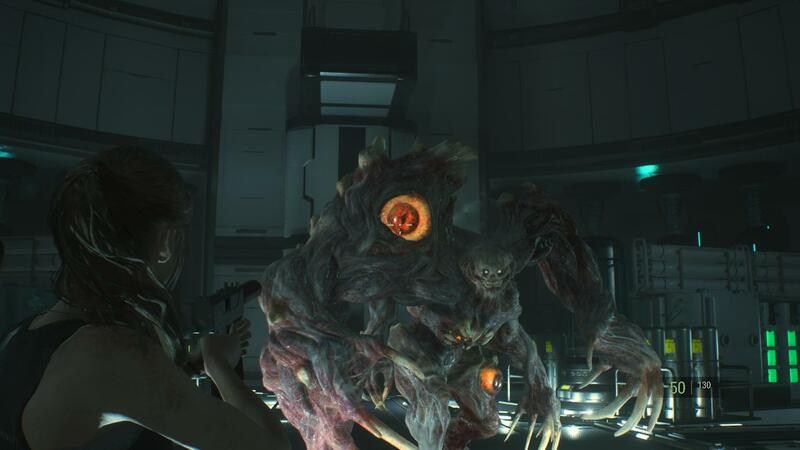 Thanks for taking the time to read out first Birkin boss fight guide for Resident Evil 2! We’ll be sure to include another guide covering the mutant’s other forms down the line. 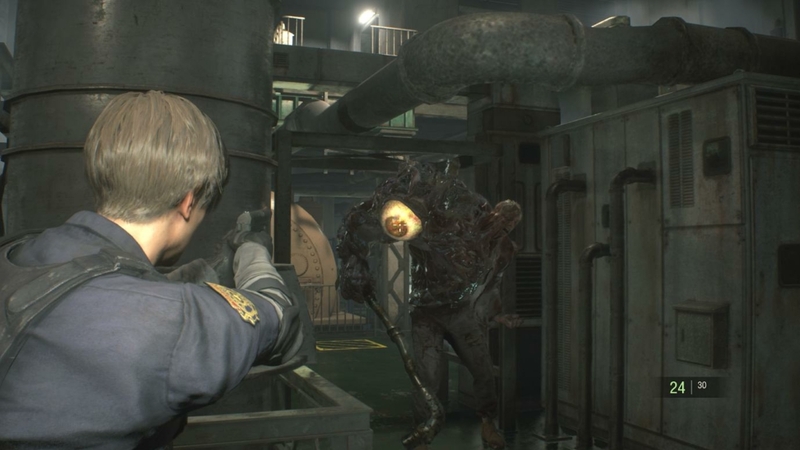 For now, though, maybe check out our full Resident Evil 2 review to pass the time (spoilers: we liked it quite a bit). Cheers!